These recordings span the first 36-years of Bob Dylan's career and represent every facet of his genius and development. From the earliest known recordings in a Minnesota hotel in 1961, to interpretations of traditional folk melodies, to his humor, to his outrage and political protest songs, to the electric folk rock that stunned his fans and defined a genre, to his beautiful poetry, to his stream-ofconsciousness that burst out of him in the mid-sixties like a volcano, to the hits, to the early versions and skeletons of songs, to his fruitful union with The Band, to his unmatched country & Blues classics, through his painful and joyful personal matters of the early seventies, rolling with Rolling Thunder, collaborations with George Harrison, Mark Knopfler, Al Kooper, Emmy Lou Harris, Sly & Robbie, The E-Street Band, to God, to the road, to Oh Mercy with Daniel Lanois to now—it’s ALL HERE!! 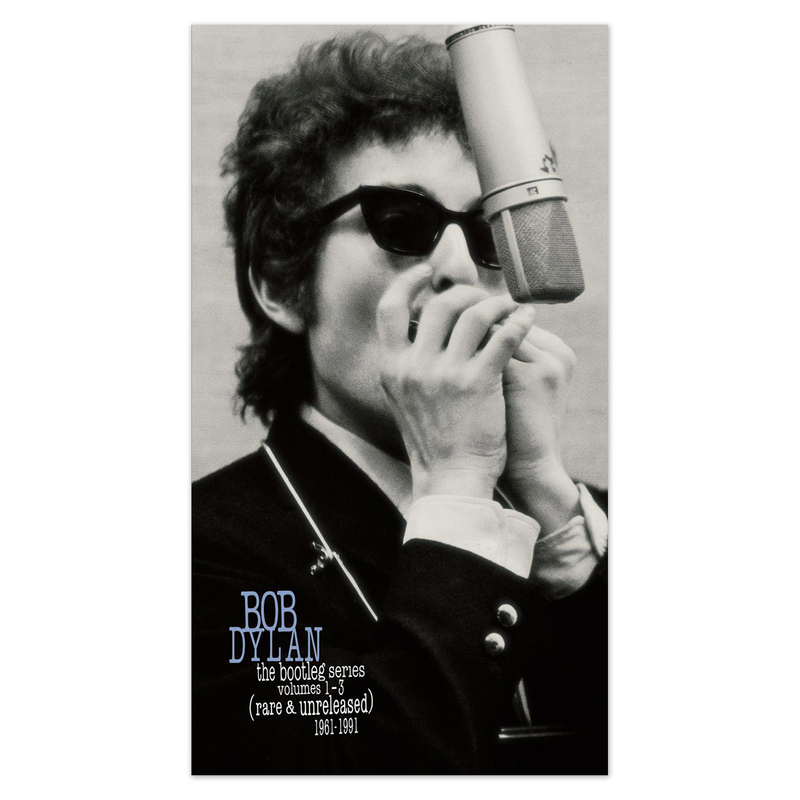 These are not discarded outtakes but a vast collection of gems—unreleased masterpieces, curios and a backstage look at the music, growth and legacy of Bob Dylan. Included are the original version of “Tangled Up In Blue,” “ If Not For You” with George Harrison, an early demo of “The Times They Are A-Changin’,” an original acoustic version of “Like A Rolling Stone” in 3/4 time, original unreleased songs, and these are just a few. Also you’ll hear songs recorded for Blonde On Blonde, Highway 61, Desire, Blood On The Tracks, Infidels, Oh Mercy, Freewheelin’, and more.